Annie has been a bookseller for 11 years and with Third Place for about four of those. You'll usually find her shelving the Pets Section, or being the Intergalactic Overlord of the Science Fiction/Fantasy sections. Seriously, she knows her spaceships and elves. And she really should get a medal for all the times she's cleaned our DISGUSTING staff fridge (seriously, we are animals). When not reading, Annie enjoys knitting, watching movies, and learning dressage from a 36 year-old horse named Drifter who she describes as the "epitome of elderly gentlemanliness." Favorite book in your section, or most underrated book in your section? 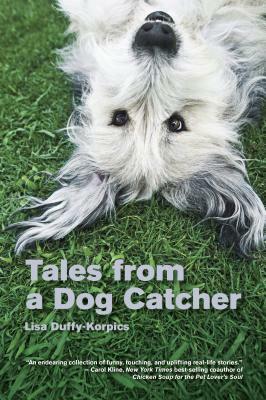 Pets: Most underrated- Tales from a Dog Catcher by Lisa Duffy-Korpics. It's full of funny, sad stories about her career in animal control. The essay about watering cats definitely had me giggling in public. SciFi: I love the entirety of Science Fiction. Except, maybe not Game of Thrones so much... GASP, I know, the only person on the planet who isn't into the series. What's your favorite section in the store? Science Fiction/Fantasy. And Young Adult. And Pets. And Fiction. And Mystery. Oh, and the knitting section! What book do you recommend most? Depends on the customer, but probably Sabriel by Garth Nix. It's THE book that really cemented my love of fantasy, and it's completely different from anything else. 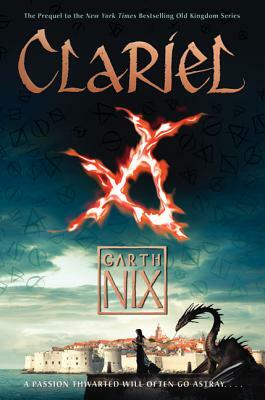 I cannot even contain my excitement for Clariel, his latest book in the series. It comes out in October! Favorite bookstore, besides Third Place? Tie between Mr. B's Bookery and Powells. I love the intimacy of a small bookstore, but also the gigantic-ness that is Powells. Plus, traveling to Portland by train is part of the fun. Can you read more than one book at a time? Nope. Even if the books are completely different I start mixing up characters and scenes. Do you have to finish a book once you've started? I have a 50 page rule. That sometimes turns into a 5 page rule. I'm a big believer of the "right book, right time, right reader" theory. A book that I wasn't interested in 5 years ago I might love now. But some books I do put down and never go back to. Guilty reading pleasure? I don't believe in guilty reading. I fully enjoyed the Twilight series and plan on rereading it again soon; Timothy Zahn has written some of the best Star Wars Extended Universe material ever; and Nora Roberts is my favorite romance author. I read mostly for myself and also to support my favorite authors and bookstores. It's hard to feel guilty about that. Do you keep books? Borrow them? Lend them? I definitely keep books. This weekend my husband and I are heading to Ikea to buy more bookcases. I think we'll round out at an even 20 after that trip. I do on occasion borrow from friends. I've been know to lend books out to a small, select group of people. How are your bookshelves arranged at home? Pretty helter skelter. I have bookcases scattered throughout my house, and I try to keep authors together. Other than that, if there's a spot that a book will fit, that's where it lives until I find it again. It's kind of fun actually. I'll be browsing for something to read in the living room or guest room and come across a book I've completely forgotten about. A book you loved that you wouldn't have read if someone hadn't recommend it to you? 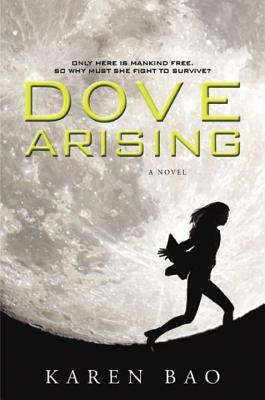 most recently I read a book called Dove Arising by Karen Bao that's coming out in February. My friend Rene reviewed it on her blog. Anything she recommends, I will read. She has impeccable taste! Favorite movie version of a book, or a movie that most ruined a book? My favorite movie based on a book is hands down the Lord of the Rings trilogy. and maybe Hayao Miyazaki's interpretation of Howl's Moving Castle. On the flip side, I've seen so many horrifically bad movies based on books. One that really sticks out though is Eragon. That movie had so much potential and a great cast. But I couldn't even get through the first hour, it was so bad. Favorite book as a kid? The Neverending Story. 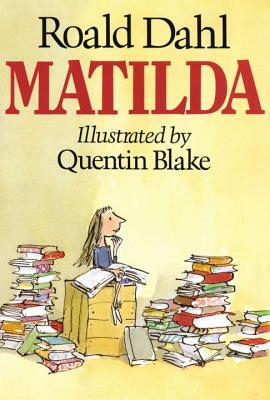 And Matilda. And The Animorphs series. Oh, and Young Jedi Knights series. Have you read Ulysses? Nope. My dad kept on and on about it, but I bet you can guess by now that it was not my particular brand of good fun in the reading department. I think I may have read the first page, but swapped it out for whatever Animorphs book I was on almost immediately. Currently reading and raving about? 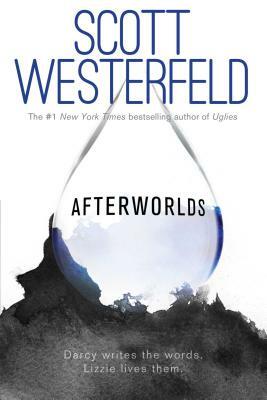 Afterworlds follows the story of Darcy Patel, who at 18 has landed a publishing deal and a substantial advance for her first YA novel. She decides to put off college and move to New York to see if she can hack it as a writer. Every alternate chapter follows Lizzie, the protagonist of Darcy's novel. It's an awesome premise as the reader gets to both read the author's own story and the one she's put down on paper. Brilliant and very well written, it's worth picking up this fall!